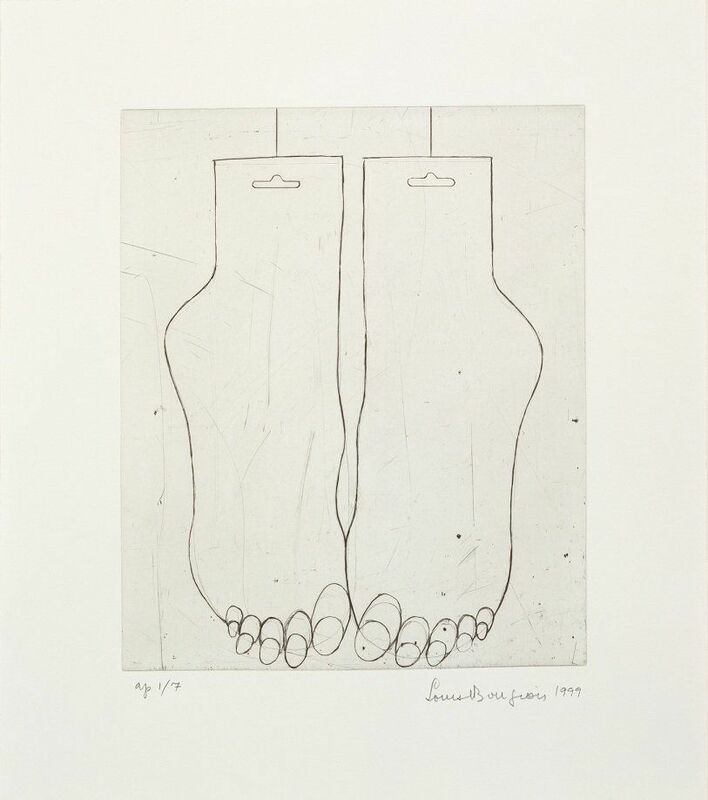 FEET (SOCKS), 1999 © The Easton Foundation/VAGA, New York/DACS, London 2014. DON'T PUT YOUR FOOT IN YOUR MOUTH, 1999 © The Easton Foundation/VAGA, New York/DACS, London 2014. 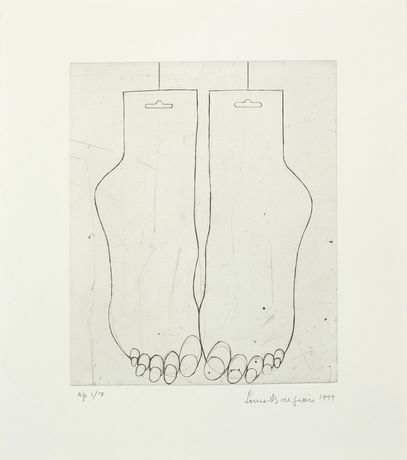 Louise Bourgeois (1911-2010) is widely renowned and considered one of the most influential artists of modern and contemporary art. Bourgeois' work, whether sculpture, drawing or printmaking, has always maintained an autobiographical theme and expresses some of her own vulnerabilities – loneliness, insecurity, anger, sadness, desire. 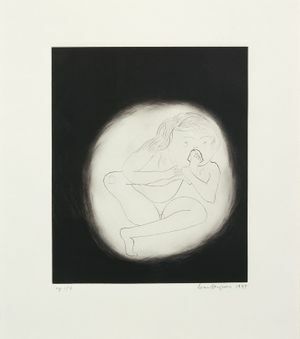 Autobiographical Series (1994) captures some of her deepest thoughts and memories whilst 11 Drypoints (1999) brings these anxieties into more abstract territory. Featuring her most recognised motifs from the pregnant woman to the cat, the prints in these two series are clearly inspired by her fascination with the human condition. Press use is considered to be moderate use of images to report a current event or to illustrate a review or criticism of the work, as defined by the Copyright, Designs and Patents Act 1988 Chapter 48 Section 30 Subsections (1) - (3). 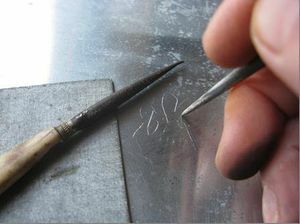 Reproductions which comply with the above do not need to be licensed. Reproductions for all non-press uses or for press uses where the above criteria do not apply (e.g. covers and feature articles) must be licensed before publication. Further information can be obtained at www.dacs.org.uk or by contacting DACS licensing on +44 207 336 8811.